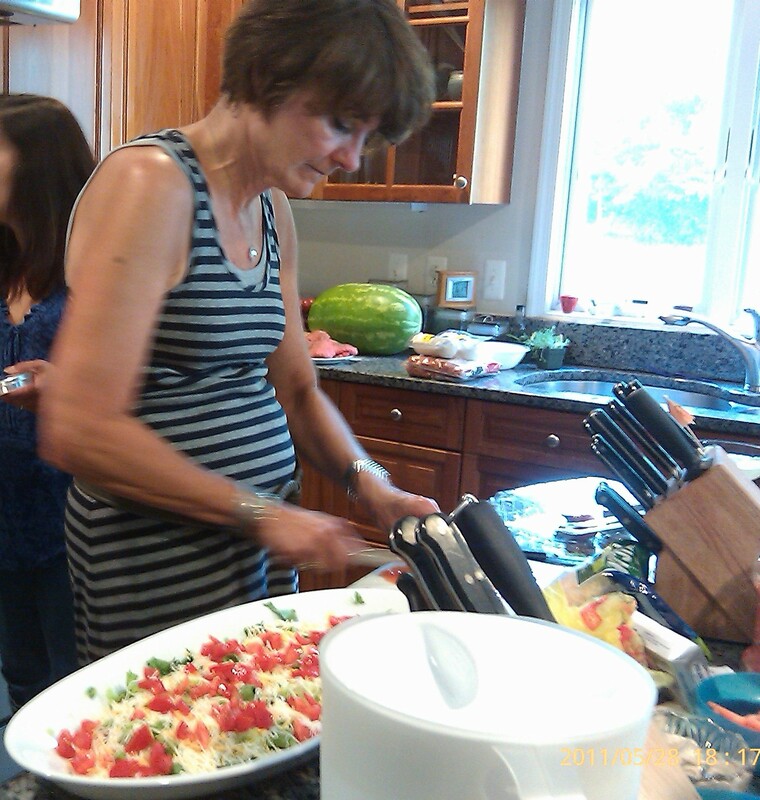 tomatoes | What's Cooking at the Genua's? 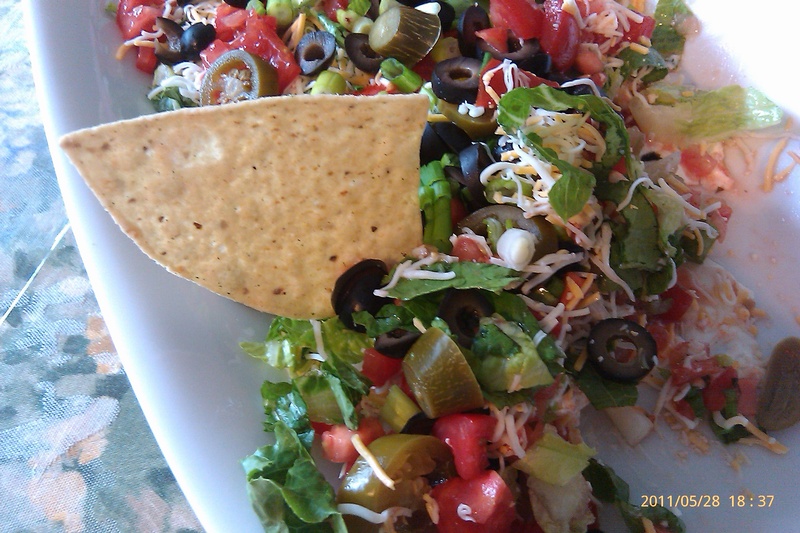 I made this salad again for the July 4th holiday and thought it would be good to repost! Once again it was a hit! Quick, easy, refreshing and delicious!! It’s been a while but here is a new recipe. I made this dish yesterday to bring to a friend’s for a barbecue. She said to bring a side. Turns out she made almost the same exact salad! Very funny, but they had a few different ingredients so it was cool. (Hers had chopped red pepper, and everyone who knows me knows I would NEVER put sweet peppers in anything! )She also didn’t have the carrots or tomatoes. I just threw this together quickly and it can totally be changed to what you like. It’s your choice! 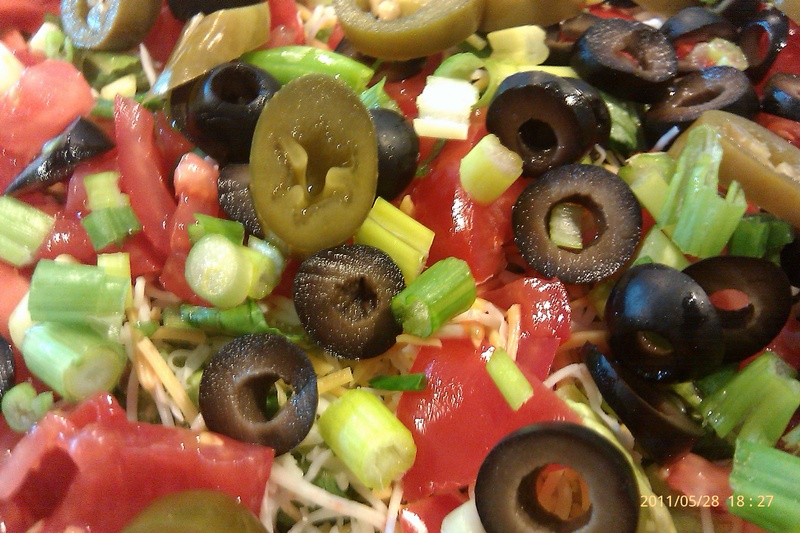 This was a very fast and easy salad to make. It’s a nice change from the usual heavy ‘pasta’ type salads. Mostly veggies also so how can it be bad? Enjoy. 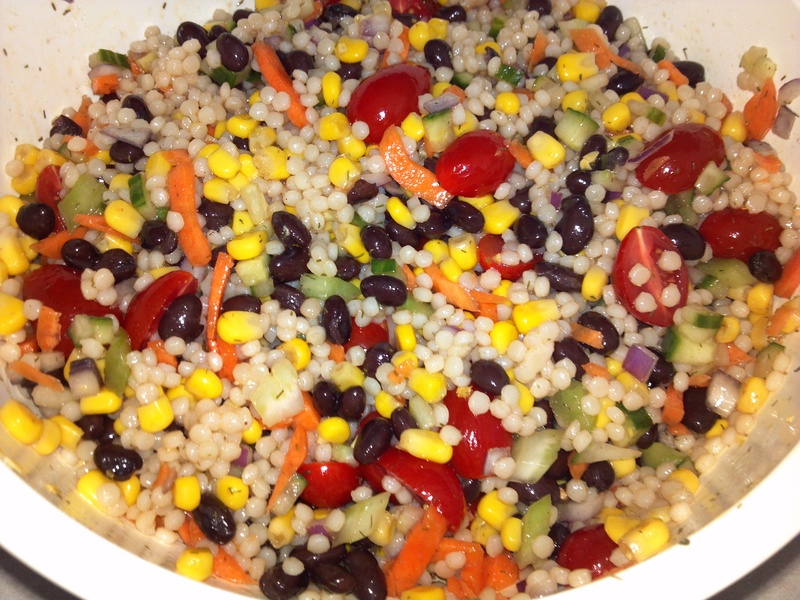 Put all ingredients in a large bowl (except for olive oil). Mix thoroughly. Then slowly add some olive oil to make it smooth and silky. I think I used a couple of tablespoons. Chill several hours and serve. This is such an easy and quick dip to throw together. There are only 5 ingredients! Nice! I love Greek food and we don’t get to go out for it too often. Probably because where I live in south Florida there are very few good Greek restaurants. We did find a great one in St. Augustine called Athena’s. But I’m not driving over 3 hours for Greek food! Anyway this is just a snack food anyway but it’s healthy too. This is best in a round nine-inch pie plate but if you don’t have one, just use something else. A long oval dish is fine also. You want something that has sides so everything stays where it should. 1. Spread the hummus onto bottom of a 9″ pie plate or other serving dish. 2. Cover with feta cheese, tomatoes, cucumbers and olives. 3. Sprinkle with a little oregano if you wish. 4. 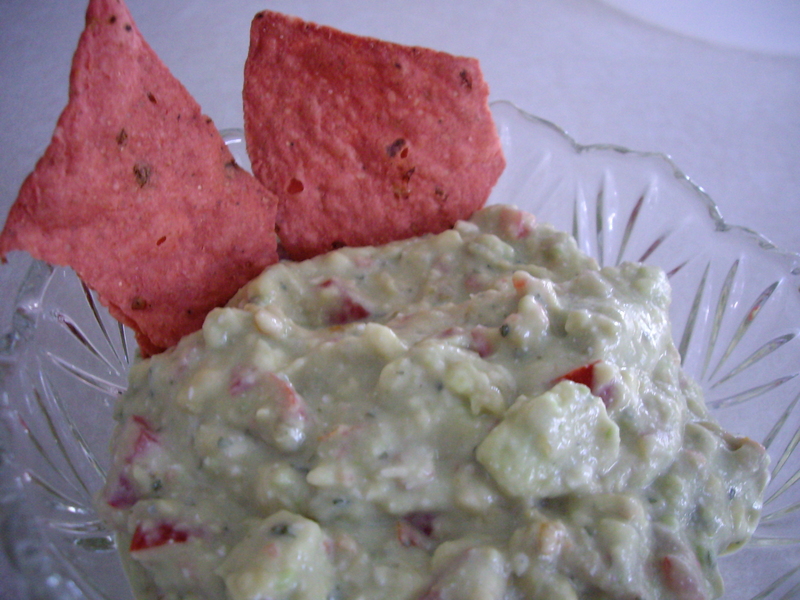 Serve with baked pita chips! On May 4, 2009 the world became a lot less funny. Comedic genius and actor Dom DeLuise passed away at the age of 75. 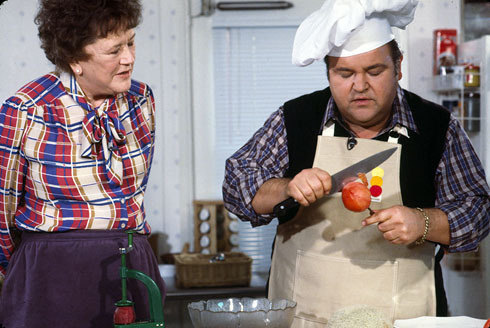 I don’t know of anyone who can’t name at least one favorite Dom DeLuise movie. One of my faves is “Fatso”. The food in this movie was incredible and you got hungry just watching it. Especially the scene with the huge pot of sauce and meatballs. He dunks a little Italian bread into to taste it and it’s all down hill from there. Funny. He was one of my favorite actors and you always smiled when you watched him. Smiled or laughed hysterically. Dom was not a skinny man by any means but over the years he realized he had to do something. I bought his first cookbook “Eat This…It’ll Make You Feel Better!” back in 1988. It was full of funny and wonderful stories of his family and friends. It was and still is an awesome cookbook. When I got married my father wouldn’t let me leave the house with the copy I had so I had to go and buy another one to take with me! The book is full of his mother’s Italian home cooking as well as recipes from his family and friends. It’s actually my “go to” Italian cookbook. As the years went on and Dom got larger and larger he decided to start eating better and came out with a second book in 1997. Another hit. This one is called “Eat This Too!”. It’s a low-fat cookbook of all his favorites along with more pics and stories of his family and friends. I will never part with either cookbook. All of the recipes are delicious. 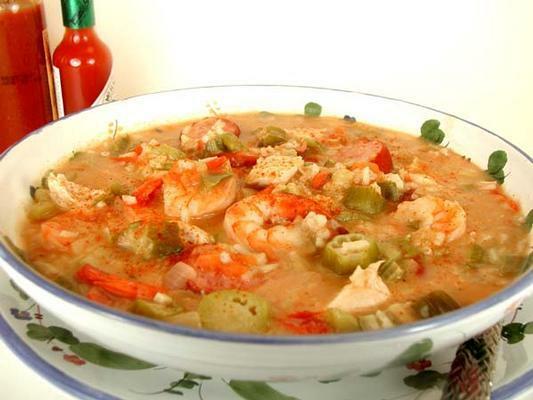 Today’s recipe is from “Eat This Too!” Gumbo can be very fattening but his version is loaded with vegetables and a seafood. Serve it over brown rice instead of the usual white rice. Don’t be afraid of the long list of ingredients either. It’s not too scary, really! It will take longer to cut up and prep all of the veggies (where’s that private sous chef when you need one?) than to cook so be brave! You won’t be disappointed! 1. In a large pot sauté the onion and garlic in the olive oil, until golden brown. Add the remaining ingredients except the seafood. 2. Cook over medium-low heat until flavors intermingle, about 30 minutes. Add the shrimp/scallops or other seafood. Cook just a few minutes until seafood is just done. Serve while still tender. When most people think of Italian sauces they usually think of the tomato sauce, marinara sauce, alfredo sauce and probably white clam sauce. But there are so many more sauces out there that are all wonderful in their own way. Growing up in my house my mother used to serve us a quick spaghetti meal we called Aiole. It was a basic olive oil and garlic sauce. Simple and fast and it was delicious. I am going to go through most of the basic sauces out there and hopefully put in some pictures so you know what they look like. I will have the second half of them next week so keep an eye open for them! 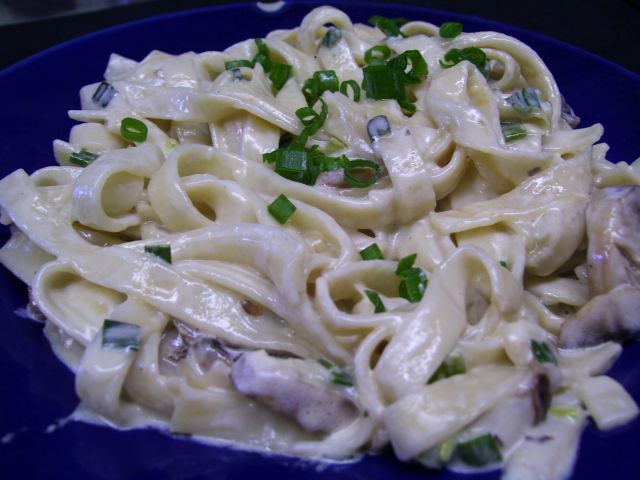 ALFREDO: Alfredo sauce is rich with heavy cream, butter, and freshly grated Parmesan cheese. It is best known when used with fettuccine. Love the sauce, hate the fat and calories! A luxury I must have every so often. You don’t have to limit it to fettuccine either, use it on any kind of pasta you want. Usually the heavier pastas do best. Throw some chicken or shrimp in there as well and it gets even better! 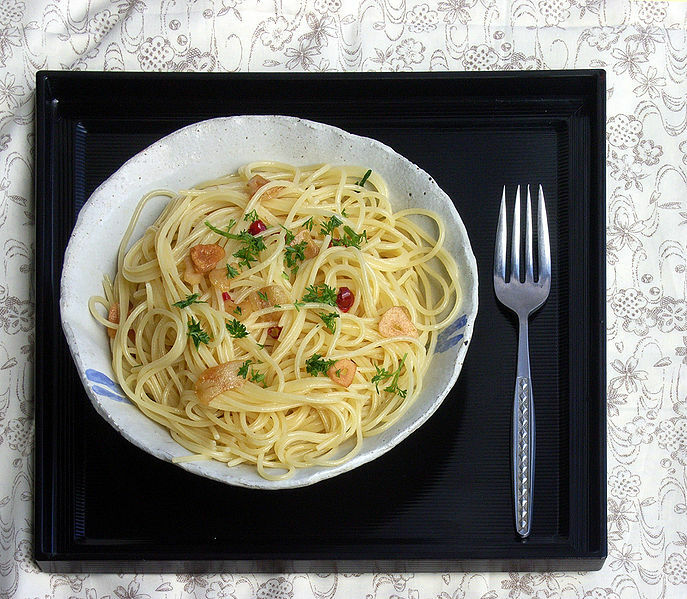 AGLIO E OLIO: This is a traditional Italian sauce (it’s what we called Aiole) that can be made on a budget. This is probably why we had it so often. It is said to have originated in the isolated region of Abruzzo but it is popular everywhere in Italy. It is usually served with spaghetti (that’s how we had it) and the sauce is made by lightly sautéing minced or pressed garlic in olive oil, sometimes adding dried red pepper flakes. You can also add finely chopped fresh parsley and parmesan cheese. ARRABBIATA: Arrabbiata is Italian for “angry”. This is a zesty tomato based sauce that gets its heat from chili peppers. It is basically a Roman sauce of garlic, tomatoes, and red chili peppers cooked in olive oil. Basil is used sometimes though most chefs in Italy don’t use it. This dish is usually served with pasta and chopped fresh parsley sprinkled on top. 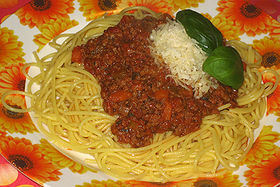 BOLOGNESE: Bolognese sauce is a robust meat sauce also known as ragù (no not the jar sauce!). It is a hearty sauce with ground beef or pork, pancetta, tomatoes, onions, garlic, carrots and celery. The sauce is sometimes enhanced by adding a little bit of wine, cream and seasoning. This sauce originated in Bologna, Italy where the natives traditionally serve it with freshly made tagliatelle and their traditionally green lasagna. Spaghetti alla Bolognese is a form that is popular outside of Italy which consists of a meat sauce served on a bed of spaghetti with a good sprinkling of grated Parmigiano cheese. What is really funny about this version is that it never really existed in Bologna, where the sauce is always served with tagliatelle or lasagna (egg pastas). 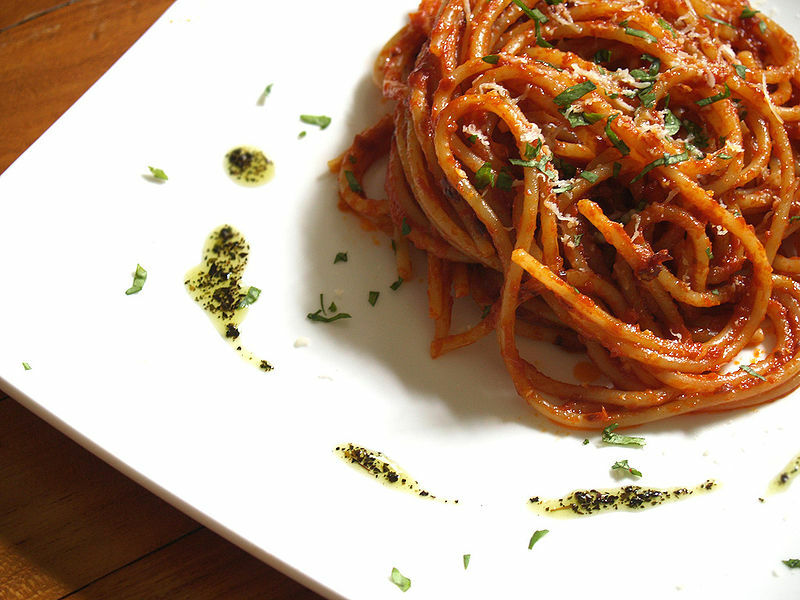 Spaghetti is a durum wheat pasta from Naples. 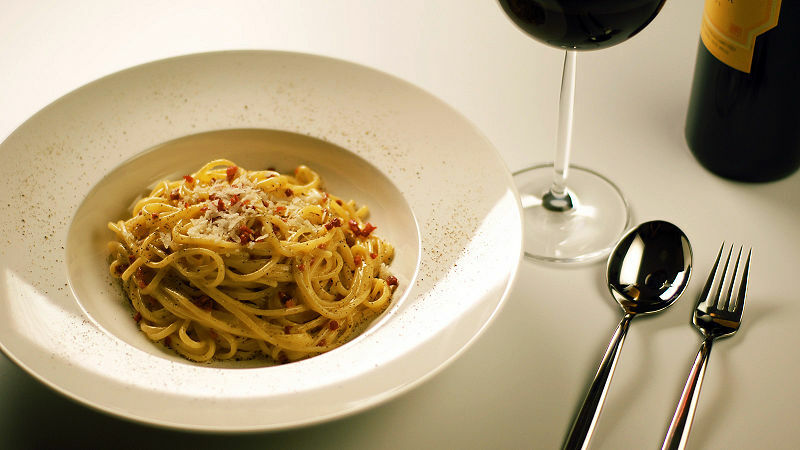 CARBONARA: Carbonara is another popular sauce that is usually made with eggs, cream, Parmesan cheese and bits of bacon. Many times this sauce also has green peas in it as well. Usually served with spaghetti it is also used on fettuccine, rigatoni or bucatini. Recipes vary but all agree that cheese, eggs, cured fatty pork (pancetta) and black pepper are basic. Origins of this dish are obscure and it has many legends about it. It was created in the middle of the 20th century so it’s not that old as far as sauces go. 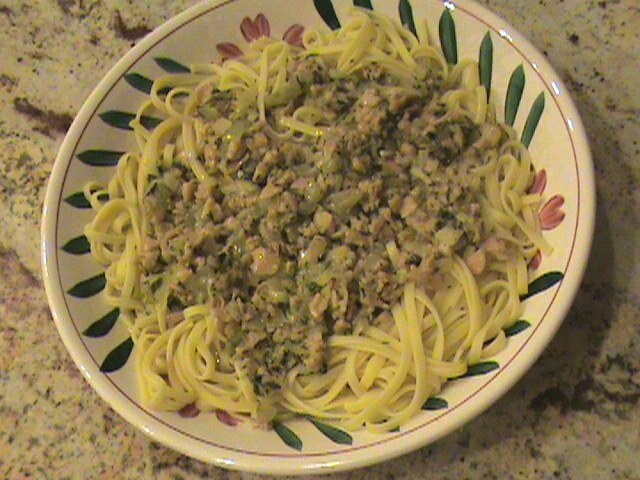 CLAM SAUCE: The most popular clam sauce is the white version. 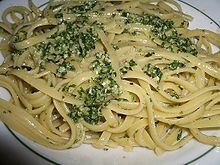 Usually served with linguine this popular sauce has minced clams, olive oil, garlic, lemon juice and parsley. There is also a thin tomato sauce with minced clams. You don’t usually see this recipe on menus much. Some versions use whole clams and hot pepper flakes. GENOVESE/PESTO: I don’t think I’ve ever really heard of a Genovese sauce before. Most of us know this sauce as Pesto. The name means it originates from Genoa (imagine that! ), which is a coastal city in NW Italy. Genovese/Pesto sauce is an uncooked sauce traditionally made of fresh basil, garlic, Parmesan cheese, pine nuts and olive oil. It didn’t really become popular in North America until the 1980s and 1990s. 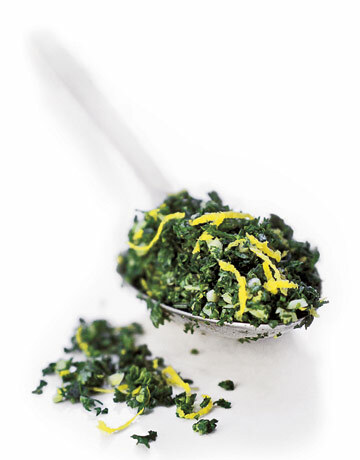 GREMOLATA: Ok here is another sauce I never heard of anywhere. It is more of a chopped herb condiment. It’s typically made of garlic, parsley, and lemon zest. Traditionally it’s used as an accompaniment to the Italian classic Osso Buco (braised veal shank). The citrus element in this actually makes it a great addition to seafood dishes as well! MARINARA: This is the classic Italian tomato sauce. It’s seasoned with onions, garlic and oregano, and basil. It’s a favorite on pasta, pizza and meats. This is another sauce that has many variations. Some of them even call for adding capers, olives and spices. Italians refer to marinara only in association with other recipes. Spaghetti alla marinara literally translates to mariner’s spaghetti. 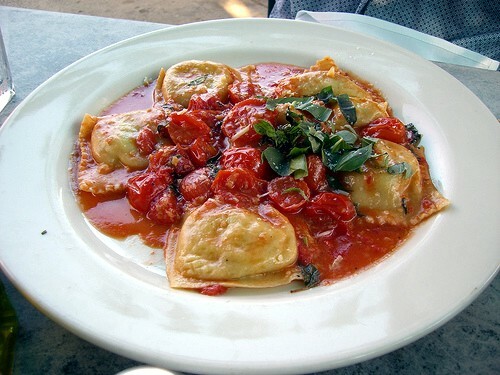 However, tomato sauce is called salsa al pomodoro which includes marinara sauce as well as other tomato-based sauce. Marinara sauce was invented by cooks aboard Neapolitan ships in the mid-1500s after the Spaniards introduced the tomato (a New World vegetable) to Europe! This is a very easy sauce to make and it resists spoiling due to the high acid content of the tomatoes. This is why it was ideal for lengthy sea voyages hundreds of years before we had refrigeration! This sauce is great on so many pastas as well as chicken, pork, veal, fish, you name it!